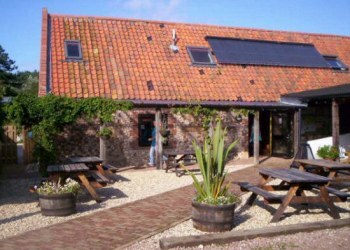 Escape the beaten track and the smog of the big city to this wonderfully chilled out independent backpackers hostel in the heart of Burnham Deepdale on the North Norfolk Coast. This beautiful village is by the sea in an �Area of Outstanding Natural Beauty�*. Open All Year, for Spring, Summer, Autumn or Winter accommodation. The North Norfolk Coast is a backpackers paradise offering watersports and outdoor activities of every sort, beautiful beaches and historical buildings, so you can be as active as you want. Of course you might just like to chill out and relax in our award winning backpackers hostel or try one of our superb local pubs serving local beers and excellent seafood! It doesn't have to be this way with the new genre in luxury, comfortable camping and campsites. You may feel like you are cheating a little but you're there for a holiday, to get way from it all. 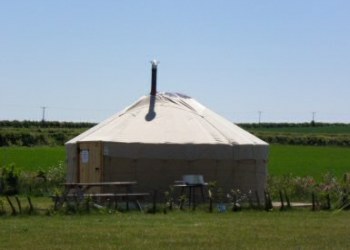 There are many new types of posh camping holidays and our Deepdale Yurts are one of them. 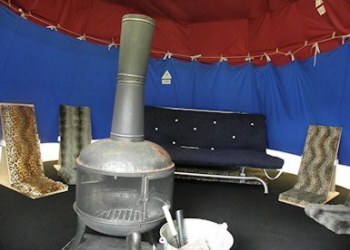 All Deepdale Yurts include a wood burner which means you can choose to visit summer or winter. All our yurts are located at the Woodview area of site with lovely views and your own private garden area this really is an outdoor holiday to remember. Whether it�s a romantic getaway or a countryside family adventure this is a great holiday experience. You can use the BBQ to cook out or alternatively Deepdale Caf� or the White Horse pub are just a short stroll away. Try something different this year - try a yurt. 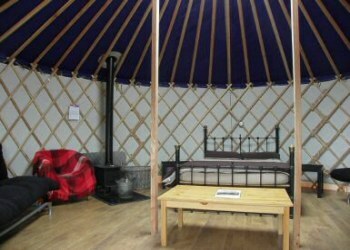 Deepdale now has 4 Yurts on site, 3 of which sleep up to 8 people and 1 sleeps up to 4 people. If there are up to 4 people in your party you could be located in any of our Yurts but most likely the smaller one sleeping up to 4 people. Yurt 1 is the one you see pictured on our website and has regularly received fantastic feedback all our Yurts are very similar and only differ in size. We also now have 2 Dog Friendly Yurts on site. 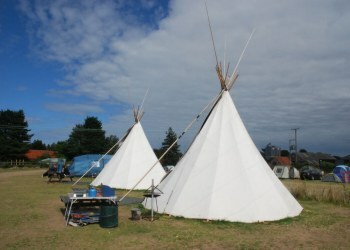 Deepdale has six Tipis on site. Four are positioned in the Woodview Glamping area and the other two are amongst the main campsite. Bookings with an adjacent pitch will most likely be in one of these two, any other booking could potentially be in any of the Tipis that we have on site. A Tipi holiday is a holiday with a difference, you need to get into the spirit of this type of holiday as you will be lighting your own open fire, opening the flaps to the stars, and enjoying a night under canvas in this authentic participatory experience. Staff are on hand to help you out and get you going though if you need a helping hand. With an open fire - Summer or Winter - a night in a tipi is a fantastic holiday experience. You will need your own sleeping bags and pillows.